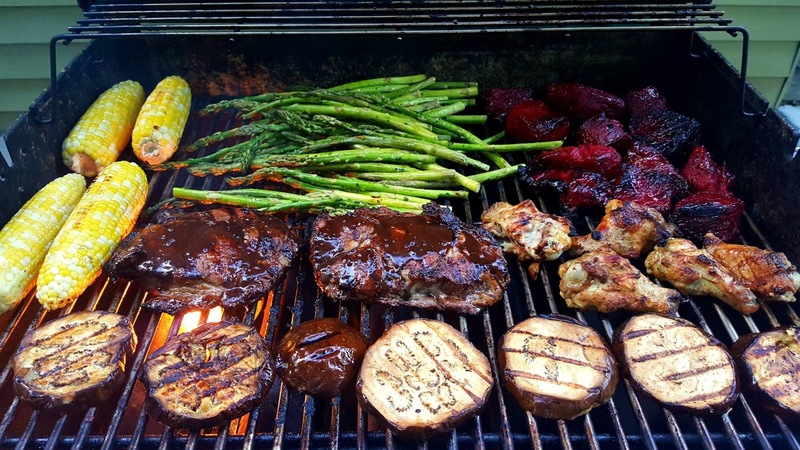 I love to grill up extra meat on the weekends so there are leftovers for lunch for the next few days. After grilling up some corn, veggies, wings, Delmonico steaks and marinated steak tips using the rub from La Cascia's, we had a great dinner with lots of food to pack. 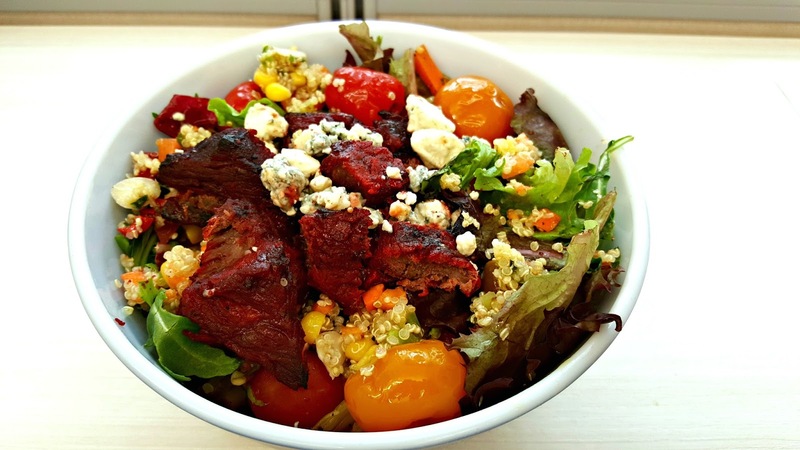 For lunch the next day, I packed the leftover cooked steak tips and assembled a salad for lunch. There was crumbled blue cheese, a small scoop of quinoa salad, field greens, grape tomato, marinated artichoke hears, yellow and red peppadew pickled peppers. There is so much flavor and juices from the marinated and pickled vegetables that no additional dressing was required. It was definitely a filling salad and I didn't go hungry at 3 PM!